Cooling water provides the best protection for refractory in the blast furnace hearth. Stable and suitable water quality and abundant cooling water are the basis for long service life of the hearth. 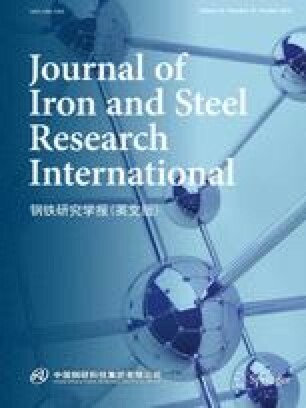 Some phenomena about cooling system in the commercial blast furnaces were described, and reasonable explanations of these phenomena were analyzed. The results show that increasing the amount of cooling water and reducing the inlet temperature of cooling water can increase the cooling effect significantly in the case of water scaling. Heat flux in the blast furnace hearth is the average heat flux of cooling stave, and the erosion of carbon brick is uneven. There is no direct connection between the actual erosion condition and the heat flux in the hearth. The change trend of thermocouple temperature and heat flux in the hearth can reflect whether the gaps exist among the bricks or not, providing an effective guidance for industrial production and the evaluation of safety state in the hearth. And, the film boiling will not occur in the normal cooling system in the blast furnace hearth. This work was financially supported by the National Science Foundation for Young Scientists of China (51704019).